Two interesting things this morning. 1. Woke up at 8am fresh as a daisy…NO JET LAG!! 2. It was snowing in Toronto. Yep, wasn’t expecting that one. I’ve only ever been snowed on twice in my life, and both of those times were in Toronto. I visited the Mill St Brewery briefly on my last visit, and the place was absolutely packed. So this time I visited during lunch, and while it was still plenty busy we were able to get a table. The waitress brought out some tasters of their seasonal Cherry IPA – didn’t really do it for me. I opted for glasses of the Black Watch Scotch Ale and the Schleimhammer Roggenbier, the later being an absolute stand out for me – banana, raspberry, apple, and a gentle rye spice, this is the kind of beer I’d brew. These were matched with my lunch of ‘Drunken Butter Chicken’ ie butter chicken made with IPA, which tasted as good as it sounds. 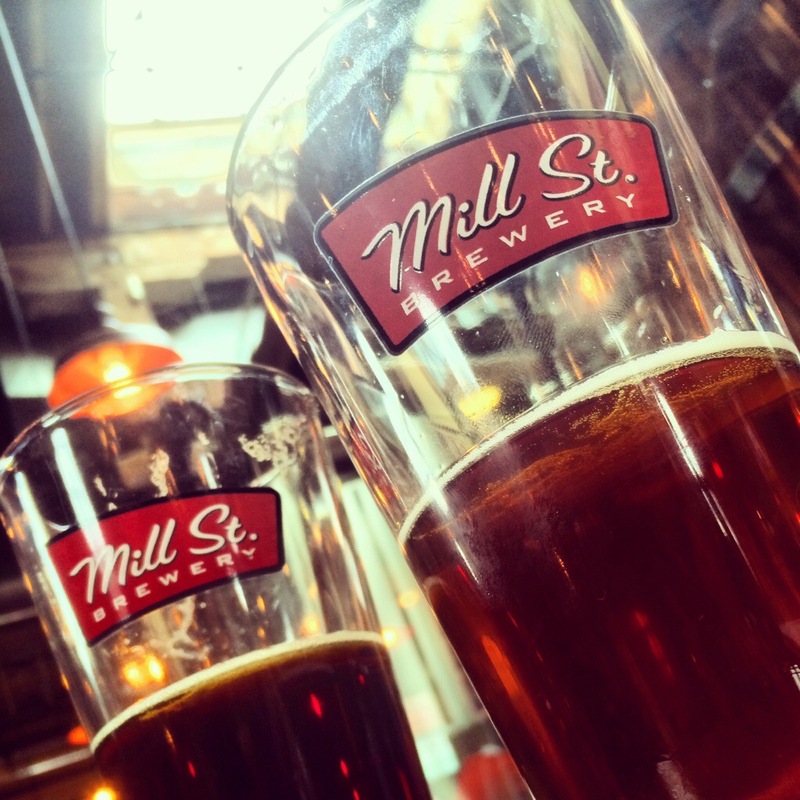 The Mill St brewpub and Distillery District is definitely a worthwhile visit when in Toronto. …and woke up again at 9:30pm. Damn, I guess the jet lag got me after all. Back to sleep now to hopefully kick it fully before day three.